Dessert soup. Yes, soup that is a dessert. I’ve had sweet soups in Chinese restaurants and, generally, speaking, liked them quite a bit. This book contain a nice variety of recipes, both hot and cold, that look fun to try. A publisher, unanchor.com, decided to drop a boatload of free travel guides for cities such as Tokyo, Amsterdam and Beijing. Too many for me to list, so I just added the ones that interested me the most. You may be able to find the rest here, but keep in mind that Amazon’s best seller lists change hourly and freebies are only free for an unspecified amount of time. Get ’em while you can! Below, you’ll also find some horror novels in honor of Friday the 13th. Add to that a couple of writing guides, and we’re all set for the weekend! 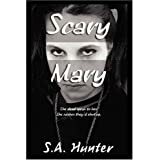 Mary just wants to be left alone, but the cheerleaders, jocks, and ghosts won’t stop harassing her. When new student Cyrus starts school, he tries to befriend her. 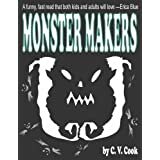 That’s a rare thing for the school freak, but her unusual abilities put a rift in their budding friendship when she has to tell him that his home is haunted and not by Casper, the friendly ghost. 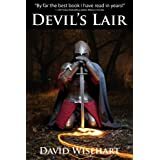 Devil’s Lair is an epic fantasy set in Dante’s Inferno. A medieval knight leads a quest through Hell to recover the Holy Grail from the Devil. The knight, Marco da Roma, is joined by: Giovanni Boccaccio, an expert on Dante; William of Ockham, an English friar; and Nadja, an epileptic with the gift of prophecy. As the Black Death sweeps through Europe, these unlikely heroes confront the Devil–and their own demons–to forestall the Apocalypse. When Nate and Josh’s father gets a teaching position at a new college and the boys are forced to move to a new town, a strange gift from a sickly old neighbor changes their lives forever. Given the magical power to reanimate dead things, the boys are suddenly drawn into other-worldly battles. Will the boys use their power to defend their neighborhood? Or will they use it to get into trouble? 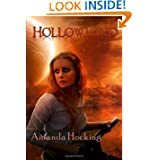 Hollowland – the first book in the young adult dystopian series The Hollows. “This is the way the world ends – not with a bang or a whimper, but with zombies breaking down the back door.” Nineteen-year-old Remy King is on a mission to get across the wasteland left of America, and nothing will stand in her way – not violent marauders, a spoiled rock star, or an army of flesh-eating zombies. This is your guide to the basics of writing a novel. 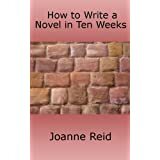 All the elements – theme, plot, character, setting, dialogue, middles, time management, pacing, and endings – are explained and there are exercises to get you acquainted with the whole process. Telling Details explains the use and misuse of factual information in fiction, particularly in romance fiction. 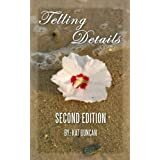 The updated second edition contains several new articles on how to effectively use details in fiction. Who says soup can only be a starter or main meal? Delight your taste buds with these 25 seriously delicious, yet so-easy dessert soup recipes. Give favorite desserts new life. Cheesecake, Apple Pie, Black and White Sundaes, and Pumpkin Pie all lend their unique flavors to soups as comforting as the desserts on which they’re based.Looking for a refreshing end to a summer meal? Try Chilled Cantaloupe or Cinnamon Mango Soup. Or discover the exotic tastes of Singapore Walnut and Hawaiian Pineapple Yam Soups.